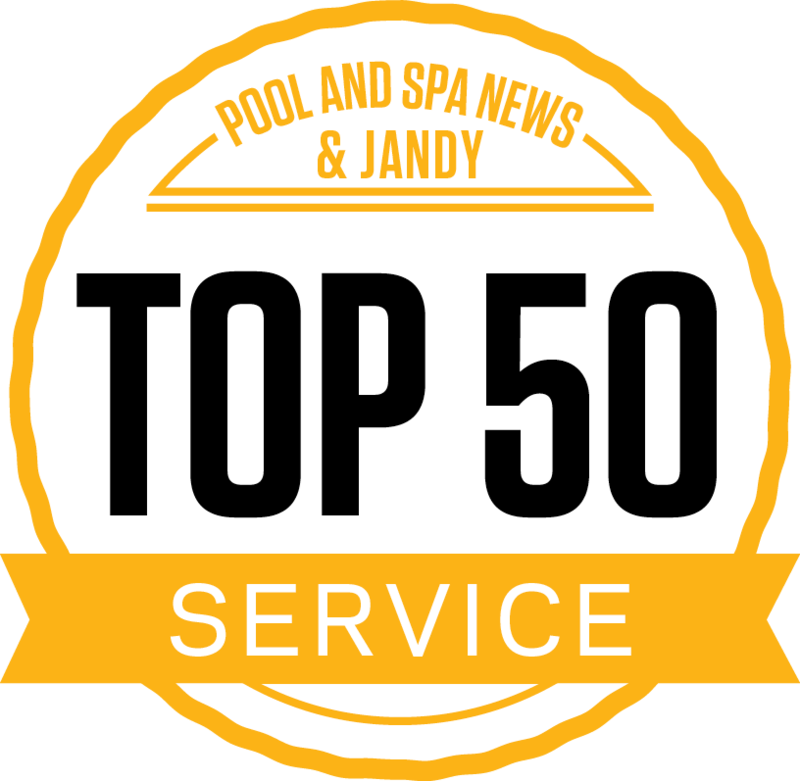 The portable spa series that sets the standard for comparison and defines the classic hot tub. The J-300™ Signature Collection is comprised of eight portable hot tub models that represent the best of Jacuzzi hot tubs. 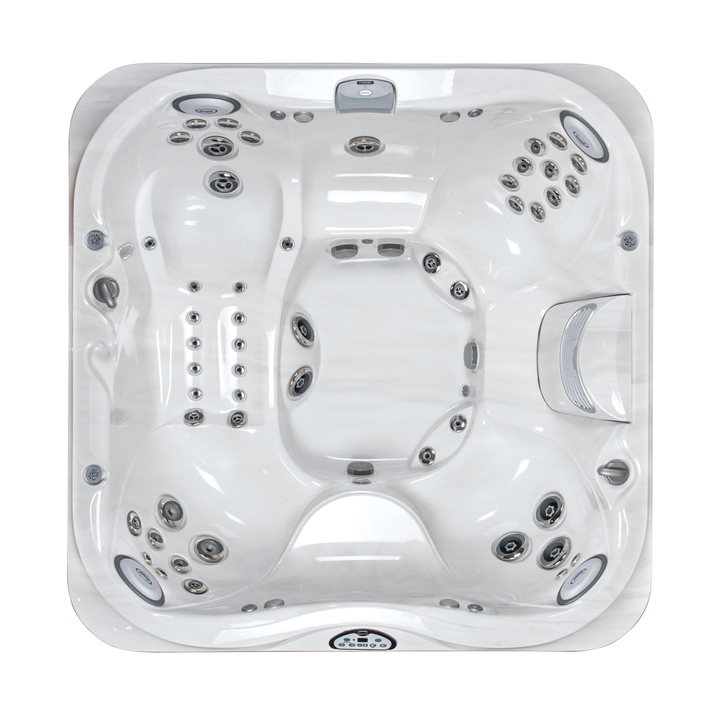 The Jacuzzi J-385™ spa is the flagship model of the J-300™ collection. With 49 PowerPro® Jets and a high performance pump, you are guaranteed to experience a state of pure relaxation. The highly durable ProPolymer™ foundation structurally protects the underside of the hot tub from the elements, ensuring this hot tub is designed to last for years of enjoyment. If you are looking for a hot tub that offers the finest in luxury hydrotherapy, the J-385™ hot tub is the perfect hot tub for you. All you need to do is step in, relax and enjoy. Jacuzzi designs water to move in ways that trigger all senses in the Jacuzzi J-375™ hot tub. With 50 massaging PowerPro® Jets, you are guaranteed to experience complete and satisfying relaxation. Therapeutic jets accelerate the healing of tired, sore muscles, relieving tension, while the buoyancy soothes aching joints. Best of all, the sculpted seats and adjustable pillow headrests in the J-375™ hot tub are designed to support your entire body. 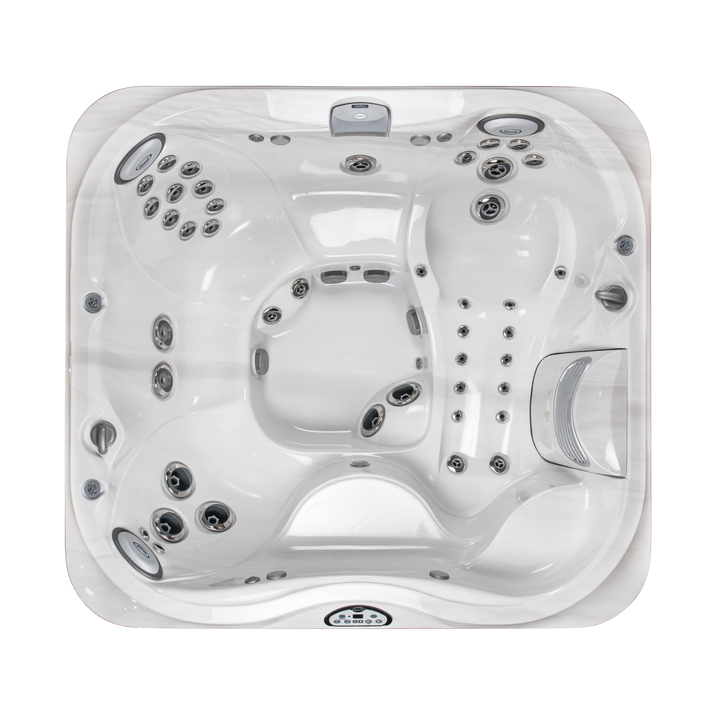 There is a complete sense of comfort and relaxation that can only be found in the J-375™ hot tub. 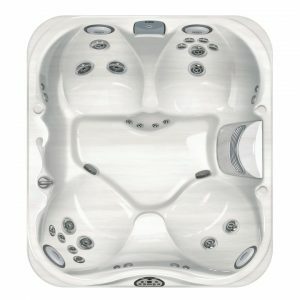 The commanding Jacuzzi J-365™ hot tub will instantly transform your backyard into a relaxing entertainment destination. With contoured seating for up to seven adults and 44 massaging hydrotherapy jets, the J-365™ hot tub is ideal for backyard gatherings and solo spa sessions. If you are looking for the finest in hydrotherapy, then you’ll appreciate the exclusive PowerPro® Therapy Seat that targets key stress areas of your body, from the neck down, while delivering a complete full body massage. 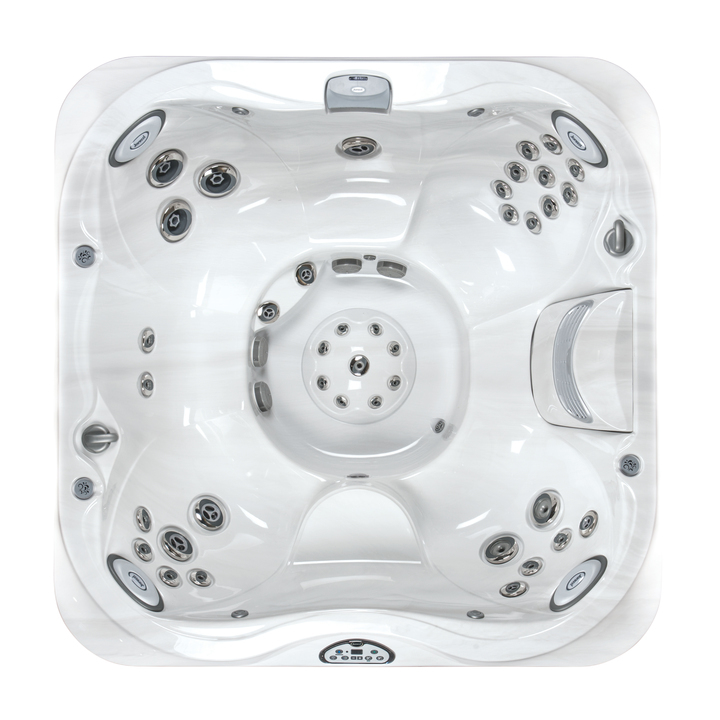 The Jacuzzi J-355™ delivers everything most people are looking for in a hot tub spa. 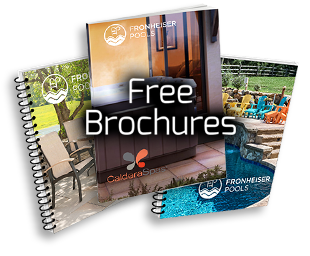 Patented Jacuzzi® power jets, the ProAir™ Lounge seat, and the FX 10™ Therapy Seat represent the ultimate in hydrotherapy. You can enjoy a relaxing, deep-tissue massage for the large muscle groups, as well as a more refined massage for the neck muscles. The leg jets in these hot tub spas have inspired praise from workout enthusiasts. Even those who simply want to relieve the tightness from sitting at a desk all day love the J-355. 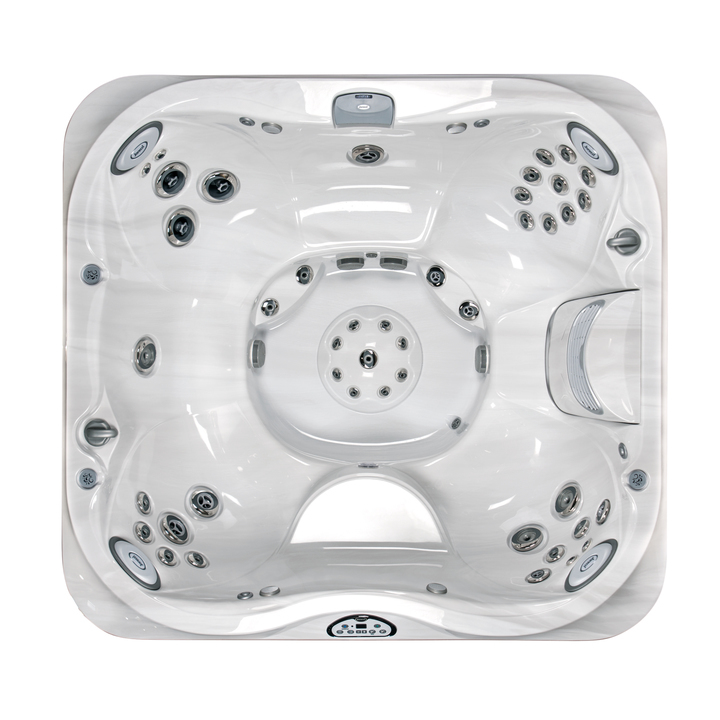 The Jacuzzi J-345™ hot tub offers a perfectly proportioned design, packed with innovative features. With 36 stress-relieving PowerPro® jets and contoured seating, the J-345™ hot tub is guaranteed to deliver a hydrotherapy experience that is unmatched in the industry. Like other models in the exclusive J-300™ Collection, the J-345™ hot tub features breathtaking LED lighting, relaxing pillow headrests, convenient cup holders and a cascading waterfall. 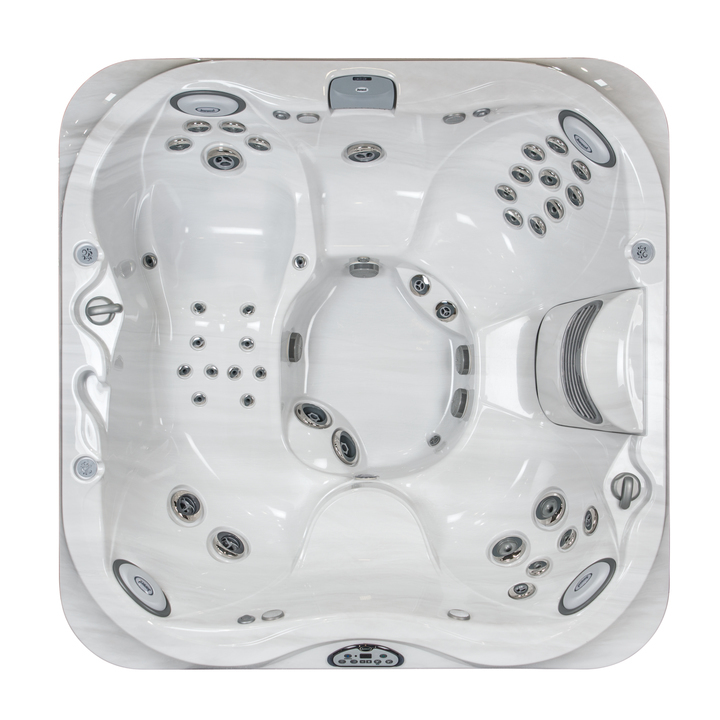 Step into your J-345™ hot tub and let the soothing warm water relax your tired, sore muscles and trigger your senses. Studies show that regular hydrotherapy is beneficial for the mind and body. Warm water in motion has been proven to stimulate endorphins, the natural painkillers your body puts to good use in so many ways. With the FX10™ Therapy Seat and full-length lounge seat, the J-335™ hot tub offers many ways to experience the relaxing benefits of regular hydrotherapy. 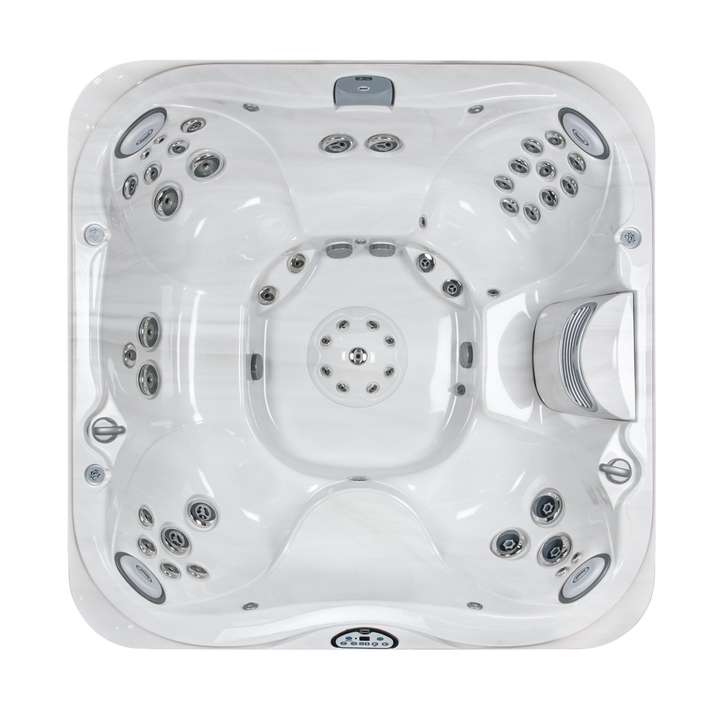 The Jacuzzi J-335™ hot tub features an impressive 40-jet layout designed to deliver deep tissue, foot and leg massages that erase stress and leave you feeling rejuvenated. The Jacuzzi J-325™ hot tub offers a space-saving solution with the most innovative jet technology in the industry. Designed with your comfort in mind, this mid-size hot tub features 21 relaxing massage therapy jets and contoured seating that perfectly hugs your body. You’ll find peace of mind knowing that your hot tub water is clean, fresh and clear at all times thanks to the exclusive CLEARRAY Water Purification System, a unique system that utilizes ultraviolet technology to successfully neutralize waterborne pathogens. 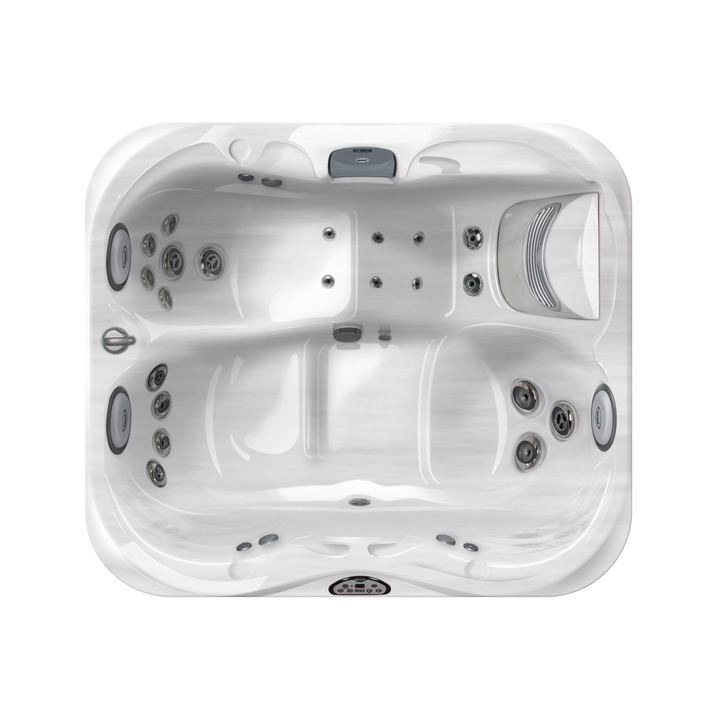 The space-saving Jacuzzi J-315™ hot tub features spacious side-by-side seating and 21 relaxing hydrotherapy jets, making it the perfect hot tub for couples. Sit back and experience an invigorating hydrotherapeutic session in a full-length lounge seat that features high performance massage therapy jets that target your entire body. You can relax and enjoy the sound of the cascading waterfall or erase the stress of the day away with a relaxing foot massage.